I follow a lovely blog called Bouffe e bambini written by Hanna. The other day she posted a recipe for Homemade Peanut Butter Cups, which I will repost here with her permission. I just made a batch this morning, and they're sinfully delicious I must admit. 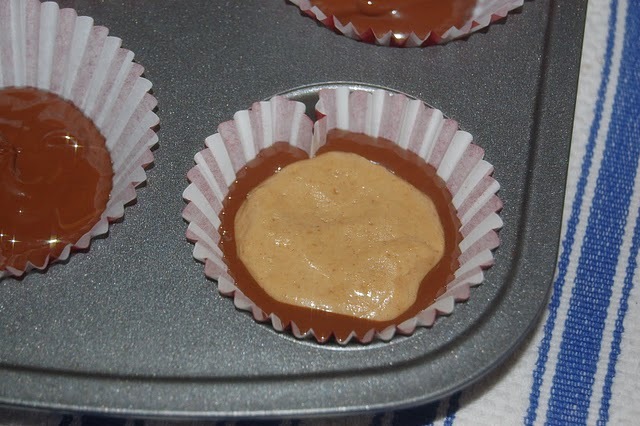 Place 12 cupcake liners in a standard size muffin pan. In a plastic or glass bowl place the chocolate chips, 2 tablespoons of peanut butter and a pinch of salt and melt it in the microwave using 30 second intervals, stirring in between as not to burn it. 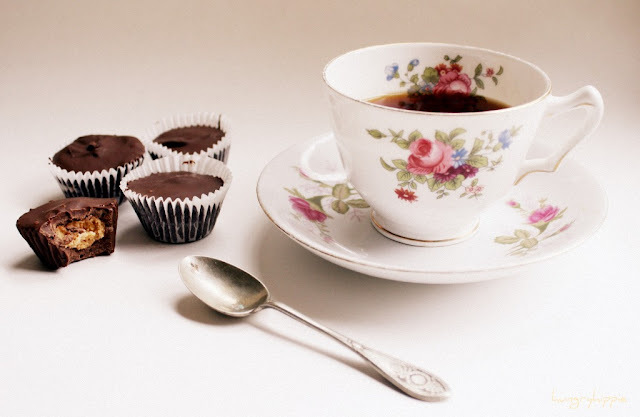 Once melted and smooth, spoon one heaping tablespoon of chocolate into each lined muffin cup. You should have about 1/4 of the chocolate left on the bowl for the topping. Set aside. Mix the rest of the peanut butter, pinch of salt, crushed graham crackers and confectioners sugar in another bowl. You can mix is with your hands if you are having trouble combining it. Once combined form little discs with your hands. They should be slightly smaller than the width of the muffin cup so that the peanut butter will be completely concealed by chocolate. Once formed, press into the center of the melted chocolate. 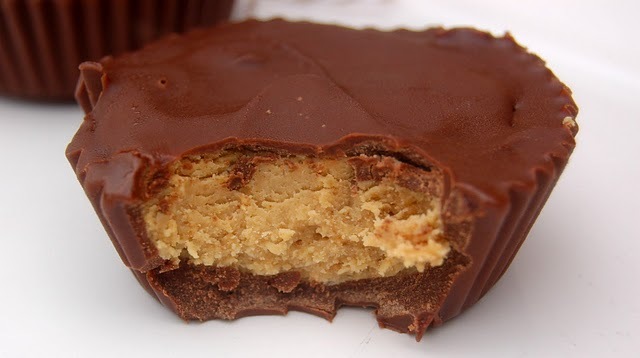 You want the chocolate to come up the side of the peanut butter, cradling it. 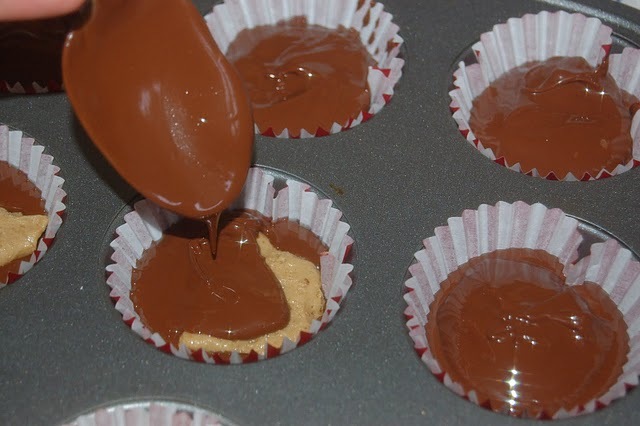 Once they are all filled then spoon a small teaspoon of chocolate on top and carefully spread it across the top of the peanut butter disc. You don't need much chocolate for this because your bottom and sides should already be formed. Now place in the refrigerator to set. 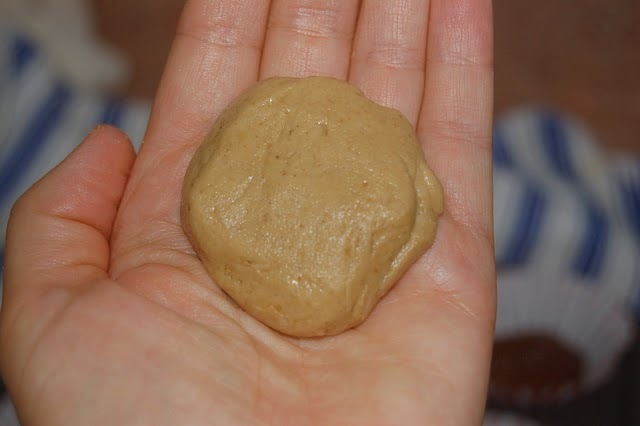 Make a peanut butter ball. Add chocolate to top. Let chill in fridge. Go on- try it! It's so simple. thank you Boufee e Bambini! Thanks so much for Reposting this. I'm so glad you tried them and they came out great!!!! Yay!! So easy! Oh seriously??? 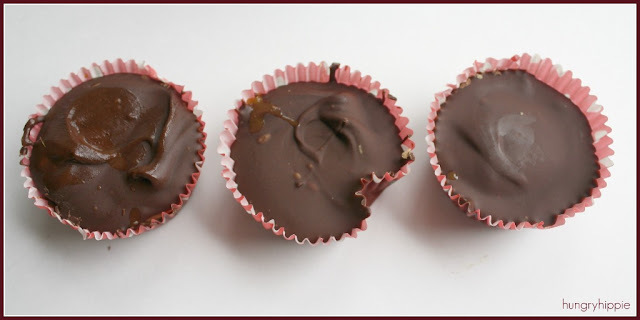 peanut butter cups are a favourite of mine too!!! not so easy to get in NZ tho...I'm TOTALLY gonna make some with this recipe! thanks for sharing missus!! I am going to have to try these! 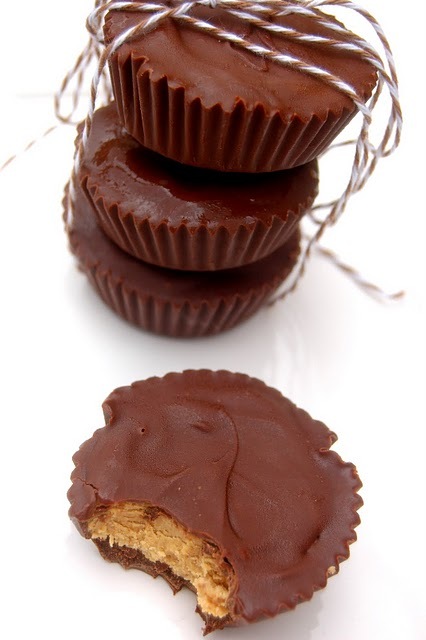 I love ♥ love peanut butter cups! And homemade ones would be awesome...Christmas gifts even!